Interfaces with any balanced ternary line code in the range 300kbps to 5Mbps such as G.703 systems operating at 1.544Mbps and 2.048Mbps. Available with operating wavelength of either 850nm or 1310nm. Operates with both singlemode and multimode fibers over up to 100km. Compatible with CCITT Rec. G.703. May use 120V, 240V AC or 48V DC power sources. 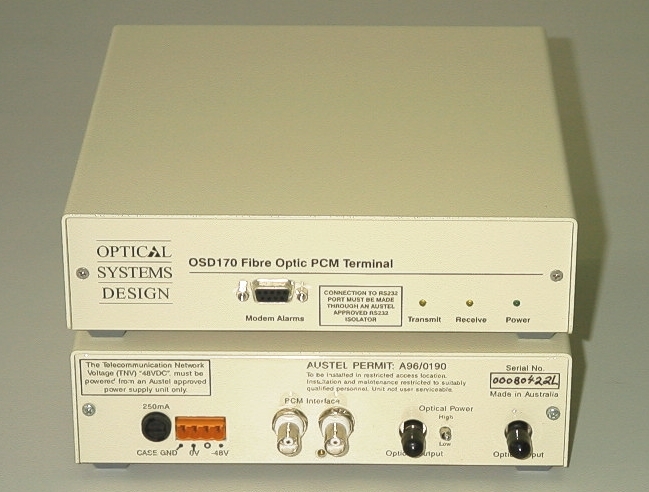 User adjustable optical power level.